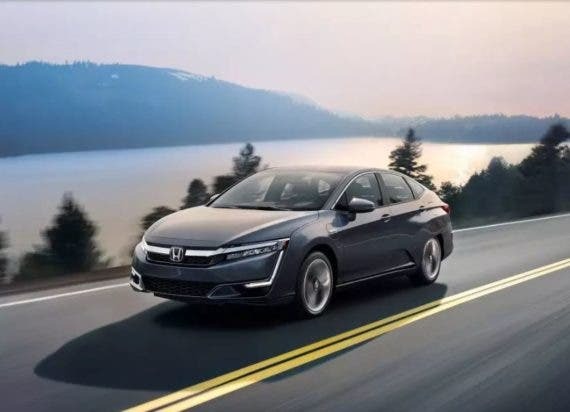 In our recent article about PHEV cars available in the United States, we said the Honda Clarity PHEV is “arguably one of the best plug-in hybrids on the market.” For those of you who believe combining a battery with a gasoline engine is an abomination, stop reading now and rejoin the conversation in about 10 years. For the rest of you, the Clarity is Honda’s latest new model. Designed from the ground up as an EV, it comes in three flavors — fuel cell, 100% battery electric, or plug-in hybrid (PHEV). For this article, we will focus on the PHEV version only. The car is about the same size as a Honda Accord, which means it is one of the roomiest plug-in hybrid sedans available. Priced from $33,400, it has 47 miles of range on battery power alone. The EPA gives it an MPGe rating of 110, which is pretty darn good. When the gasoline engine kicks in, the Clarity PHEV is quite frugal, with a combined fuel economy rating of 42 miles per gallon — quite good for a car that is so roomy and comfortable. To put that in perspective, the average new car gets about 25 miles to the gallon and 42 MPG puts it in a tie for the 9th most gas efficient car on the US market. So, not only does the Clarity PHEV use no gasoline at all in a typical driving day, it goes nearly 70% further on a gallon of gasoline than the average new car. The starting price is about $10,000 more than an entry level Accord. However, the Clarity PHEV has more standard equipment, including an infotainment system compatible with Android Auto and Apple Carplay as well as a full suite of active safety systems. It is eligible for the full $7,500 federal tax credit. State and local incentives may wipe out the price difference completely, while giving you the extra goodies/upgrades for free. Comparisons to the Tesla Model 3 are inevitable. Suffice to say, the Tesla is the most desired vehicle on the planet right now, and with good reason. The Honda has more interior room and costs a little less. It has an extensive dealer network and it doesn’t need to stop at charging stations on long trips. Plus, it has one other important advantage — its available now, not 18 months from now. Will it steal 500,000 buyers from Tesla? Of course not, but perhaps it’s the car for some of you? Below are three videos that provide details about the Clarity PHEV inside and out. They show why we believe this car is one of the best plug-in hybrids available. If you find the Clarity PHEV appealing, call your local Honda dealer and ask for a test drive. If you buy one and want to share your impressions of the car with our readers, let us know and we will be happy to publish your report!